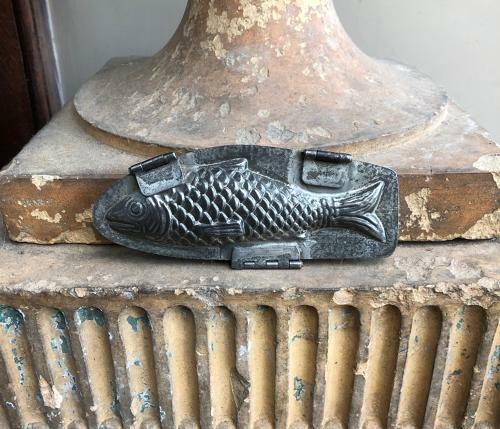 Lovely Condition Early 20th Century Hinged Double Sided Chocolate Mould in the Shape of Fish. Excellent Condition, Useable and Very Decorative. Much harder to find than the double sided moulds that clip together.